Are you a beneficiary with questions about the probate process or the way your loved one’s estate is progressing through probate? Are the assets being properly handled? Are you challenging a Will? La Quinta Probate Litigation Attorney Sheila Barton has the experience required to skillfully facilitate the resolution of your probate dispute, Will contest, or inheritance dispute. Ms. Barton combines compassion and integrity with legal knowledge in order to find solutions for contentious estate issues. She provides personal service while seeking an efficient, expedient result. Probate Litigation Lawyer Sheila Barton first makes every effort to negotiate and settle the matter. When litigation is required, she is prepared to bring a lawsuit and represent your interests in court. Contact the Barton Law Firm to schedule a consultation with an experienced Probate Litigation Attorney. Whether the wishes of the decedent are not clearly understood or the beneficiaries’ rights are not being honored, there are many reasons where the services of a skilled probate litigation attorney can remedy the situation. La Quinta Probate Litigation Lawyer Sheila Barton has successfully handled a wide range of Will contests and probate disputes. She represents executors, beneficiaries, and heirs in these matters which are often complex and involve intense disagreements, including the following areas. As a knowledgeable Probate Litigation Lawyer, Ms. Barton handles probate cases in which allegations of fraud, validity of a Will, testamentary capacity, undue influence, conflicts of interest, or incompetence are offered as the reason for a Will contest. If you believe a loved one’s estate is being mishandled by the executor, or there is an alleged misappropriation of assets or conflict of interest, contact the Barton Law Firm in La Quinta. 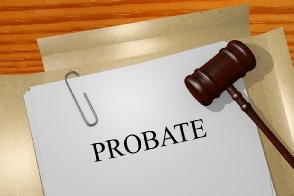 We will help secure these assets in the manner outlined by the California Probate Code. If your probate dispute involves asset valuation, Ms. Barton works to help beneficiaries and heirs protect their interests in the inheritance. Following probate law, Ms. Barton can file the lawsuit and obtain the proper probate accounting in order to ensure an equitable distribution of assets to beneficiaries. Regardless of the nature of the dispute, probate will be prolonged until the court can determine who is legally entitled to which assets. Probate Litigation Lawyer Sheila Barton is dedicated to resolving Will contests and probate disputes in order to allow the family to move forward after losing a loved one. She has worked diligently in this field for over 30 years, and understands the family dynamics which can lead to these kinds of disagreements. Ms. Barton is an experienced estate planning lawyer who helps clients draft, review, and update Wills and Trusts in order to identify and address potential areas of conflict and avoid litigation for probate disputes and Will contests. Contact the Barton Law Firm and arrange to meet with our skilled La Quinta probate litigation attorney. Whether the dispute is regarding assets in La Quinta or assets in another locale inside the state of California, Probate Litigation Lawyer Sheila Barton can represent your interests and facilitate a resolution on your behalf. Call (760) 834-0444 today. You may also complete our Probate Litigation Case Evaluation Form, and our probate litigation law firm will contact you to schedule a consultation.